A real Alfred Hitchcock event? Yahoo News, May 1, 2014 -- Shirley Brown came home last Friday night to quite the scene. Birds were everywhere in her home. Ms. Brown spoke with KMPH FOX 26 News about her ordeal. The Exeter, California resident said, “I mean, they come out of nowhere, and then they’re here. And there’s like, 200 or 300 of them...yeah, I screamed a couple of times." Ms. Brown thought that the birds were maybe just tying to get away from a storm, but as of last night, they kept coming back every evening at the same time. There are other homes on her block with chimneys, but they keep coming back to her house. She hopes that when the weather changes, they’ll go away. So, what kind of birds are they? KMPH reports that the birds that flew into Ms. Brown's home are Black Swifts, a species with a global population of approximately 150,000 that can be found in Central America, the West Indies, and the western half of North America. FAIRFIELD, CA - Natasha Stel of Fairfield believes her Home Depot store is handling its bird problem the wrong way. Stel said a number of birds have died because of certain practices used by the business. She claims the Home Depot in Fairfield is trying to keep birds out of the store by using some sort of sticky glue substance in the beams of the store. "What happens when the glue gets in their wings, they peck at their wings to get the glue off and then they basically, all their skin becomes raw," Stel said. Stel captured some video of the injured birds. Stel said birds have gotten the glue in their beaks and feathers and that's been detrimental even deadly. "The birds are dying," Stel said. "They're going to suffocate and starve to death." 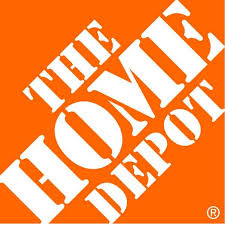 Home Depot offered this response: "The health and safety of our customers and associates remain our primary concern. We regret any harm that comes to the birds that cannot be removed by the least intrusive methods." Home Depot also said, "The business will seek counsel regarding and test possibly effective methods to prevent birds from wandering into our stores." Stel said she's not satisfied with the response from Home Depot and she's working to stop their bird abatement practices. 25 Things you didn't know about Alfred Hitchcock's film "The Birds"
1. Daphne Du Maurier's novella, on which the film was based, was originally published in a 1952 issue of Good Housekeeping magazine. Hitchcock had adapted two previous films from Du Maurier's work: 1939's "Jamaica Inn" and 1940 Best Picture Oscar winner "Rebecca." 2. The director had long had an interest in birds. He'd been a bird-watcher as a boy. He also took inspiration from a newspaper article he read in 1961 about hordes of dead birds washing up onto the streets in the seaside California town of Capitola. 3. 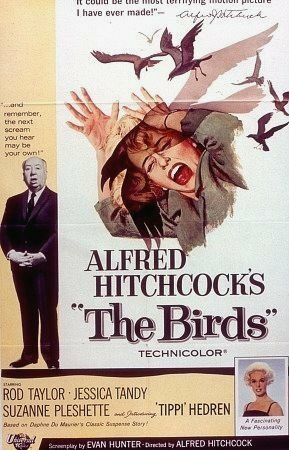 After the huge success of "Psycho" in 1960, Hitchcock was given his biggest budget yet to make "The Birds": $3.3 million. 4. Hitchcock initially wanted his 1950s leading lady Grace Kelly for the role of Melanie Daniels, but after she married Prince Rainier of Monaco in 1956, she retired from acting and declined all offers to return to Hollywood. He'd also sought Anne Bancroft for the role, but even with his expansive budget, he couldn't afford her. Others on his wish list included starlets Sandra Dee, Carol Lynley, Yvette Mimieux, and Pamela Tiffin. 5. He discovered his eventual leading lady, Hedren, a model with no acting experience, when he spotted her in a TV commercial for a diet drink during NBC's "Today" show. He would eventually groom her into one of his classic icy blondes (a la Kelly, Novak, Eva Marie Saint, and Janet Leigh), choosing her clothes, hairstyle, and even her lipstick for her role as Melanie Daniels. 6. The actors playing the Brenner family were all born outside the United States -- Rod Taylor (Mitch) in Australia, and Jessica Tandy (Lydia) and Veronica Cartwright (Cathy) in England. 7. To this day, Taylor is best known for his lead roles in 1960's "The Time Machine" and "The Birds." He had some more starring roles in such films as "Young Cassidy" and "Chuka" (which he also produced), but by 1970, he had all but retired from acting. 8. When she landed the role of Cathy, Cartwright was already a popular child actress. She had a recurring role on "Leave It to Beaver" as the overbearing Violet Rutherford, who would give Beaver his first kiss. In later years, as an adult, she'd go on to star in unforgettable roles in "Alien" and "The Witches of Eastwick." 9. The director initially wanted Joseph Stefano, his "Psycho" screenwriter, to return for "The Birds," but Stefano wasn't interested in the story. He eventually hired Evan Hunter (a.k.a. crime novelist Ed McBain), who had written a couple TV episodes of "Alfred Hitchcock Presents." Hunter later grumbled about all the liberties Hitchcock took with his screenplay after the writer had moved on to another project. Among the script doctors: actor Hume Cronyn, whose wife was "Birds" co-star Jessica Tandy. 10.Hitchcock took his customary cameo at the beginning of the film; he can be seen outside the pet shop, walking two dogs, which were the director's own pets. 11. To attract the trained birds, the actors often had ground meat or anchovies smeared on their hands. 12. The scene where the birds attack the schoolchildren was done using mostly puppet crows, along with a couple of real ones. The kids were running on a treadmill, with Bodega Bay footage added in the background. 13. Hedren has spoken often about the harrowing scene where she's attacked in the attic, a scene that took a week to shoot, though it only runs about a minute on screen. Hitchcock insisted on having real trained gulls attack her. They were attached to her by elastic bands tied to the poke hole in her costume. On the last day of shooting, a bird clawed Hedren's eye, and she broke down in tears. Frequent Hitchcock leading man Cary Grant happened to be visiting the set that day, and he complimented the actress, saying, "You're one brave lady." 14. Rather than a conventional musical score, the film's soundtrack consisted of a mix of birdcalls and electronic noises from a proto-synthesizer called a trautonium, an electronic instrument Hitchcock had first heard on the radio in Berlin in the 1920s. He found two trautonium composers based in Germany, Oskar Sala and Remi Gassman, to collaborate with his usual scorer, Bernard Herrmann. 15. Future star Melanie Griffith, who was five when her mother played Melanie Daniels, has recalled receiving a bizarre gift from Hitchcock: a doll made-up and costumed like Hedren, presented in an ornate wooden box that Griffith thought looked like a coffin. 16. Though the film is considered a classic today, one of Hitchcock's most challenging and personal films, it didn't charm critics at the time. "The Birds" earned mixed-to-poor reviews, though they didn't stop it from earning $5 million and becoming one of the top 20 grossing films of the year. 17. The movie was nominated for just one Oscar, for its special effects. Hitchcock had hired legendary Disney animator Ub Iwerks to create scenes blending real birds with animated swarms. Impressive as Iwerks' achievement was, the movie lost the category to "Cleopatra." 18. The final shot of the film, with the characters driving away from Bodega Bay as they're watched by a restive flock of birds, was one of the film's typically tricky scenes, combining live birds, animated birds, and puppet birds, along with the moving car heading toward a detailed matte painting as a backdrop. Hitchcock recalled that the shot was a composite that blended 32 separate exposures, calling it "the most difficult single shot I've ever done." 19. The director purposely avoided concluding the film with a traditional "The End" title card, since he wanted to preserve the movie's ambiguity, and because he wanted to imply that the terror would continue without end. 20. Hedren starred in Hitchcock's next film, the psychological thriller "Marnie," which received an even chillier reception than "The Birds" had earned, though it, too, would eventually be embraced by Hitchcock scholars and fans. (Again, Hitchcock had wanted Grace Kelly but was unable to persuade her to come out of retirement.) Hunter wrote several early drafts of the screenplay and would recall the experience even less fondly than "The Birds." Hitchcock ultimately used a script written by Jay Presson Allen. 21. A 1994 sequel, "The Birds II: Land's End" was made for TV. Hedren appeared in it in a supporting role, as a character who was not Melanie Daniels. Director Rick Rosenthal was credited as "Alan Smithee," the pseudonym directors use when they disavow a project. 22. Both Suzanne Pleshette (who played schoolteacher Annie Hayworth) and Veronica Cartwright appeared in guest roles on TV's "Will & Grace" as moms of the main characters. Pleshette, best known for her role as Emily ("Hi, Bob") Hartley on the classic 1970s sitcom "The Bob Newhart Show," played Karen's mother in a recurring role from 2002 to 2004, while Cartwright played Jack's mom in a 1999 episode. 23. In 2007, Michael Bay announced plans to produce a remake that would star Naomi Watts and George Clooney, plans that (thankfully, for Bay detractors) have yet to take wing. 24. Hedren retold her account of her fraught relationship with Hitchcock in 2012's HBO movie "The Girl," in which she was played by Sienna Miller opposite Toby Jones as Hitchcock. The TV movie, based on Donald Spoto's interviews with Hedren for his 2009 book "Spellbound by Beauty: Alfred Hitchcock and His Leading Ladies," recounted her discovery by Hitchcock, his grooming her for stardom, the shooting of "The Birds," his alleged sexual harassment of her throughout the making of "The Birds" and "Marnie," and his effective blackballing of her acting career by refusing to release her from her exclusive contract with him after "Marnie." The picture prompted a response from another of Hitchcock's classic icy blondes, "Vertigo" star Kim Novak, who insisted that the director, who had groomed her just as obsessively, had never behaved inappropriately with her or anyone else that she'd seen. 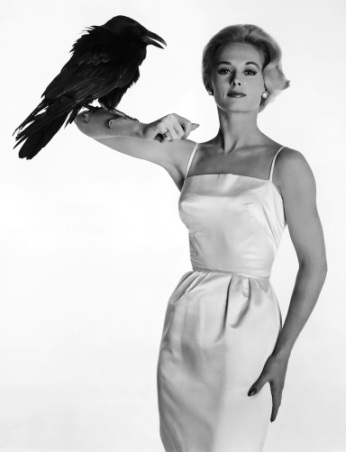 Even Hedren has said that "The Girl" focused too much on the negative aspects of her relationship with Hitchcock and not enough on the warmth, humor, and creativity of their professional collaboration.